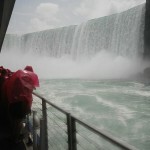 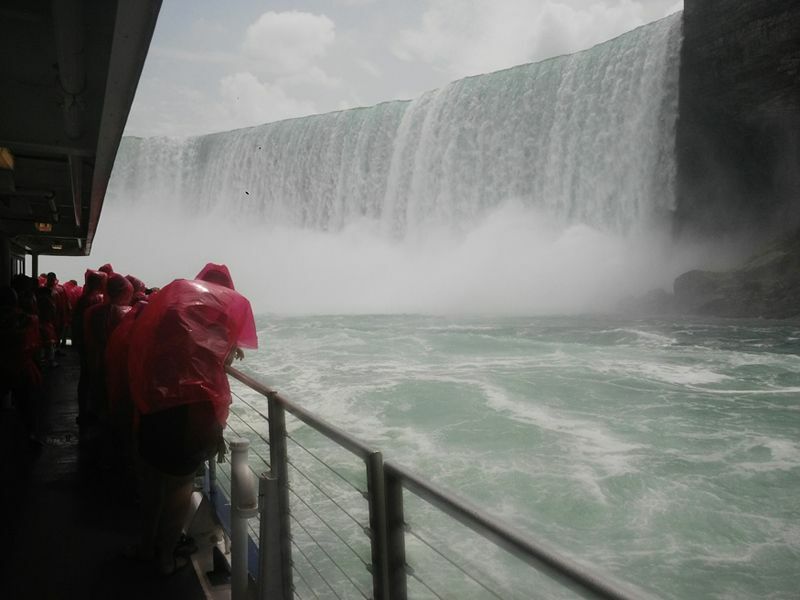 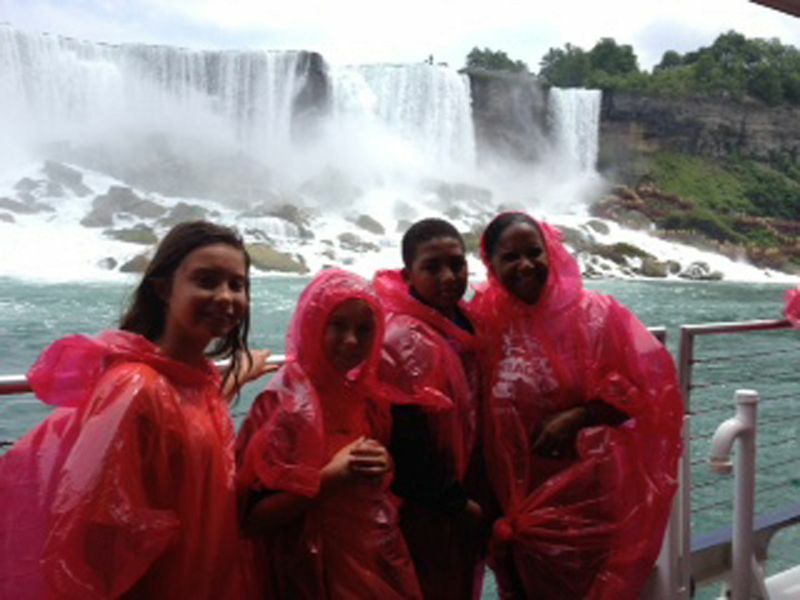 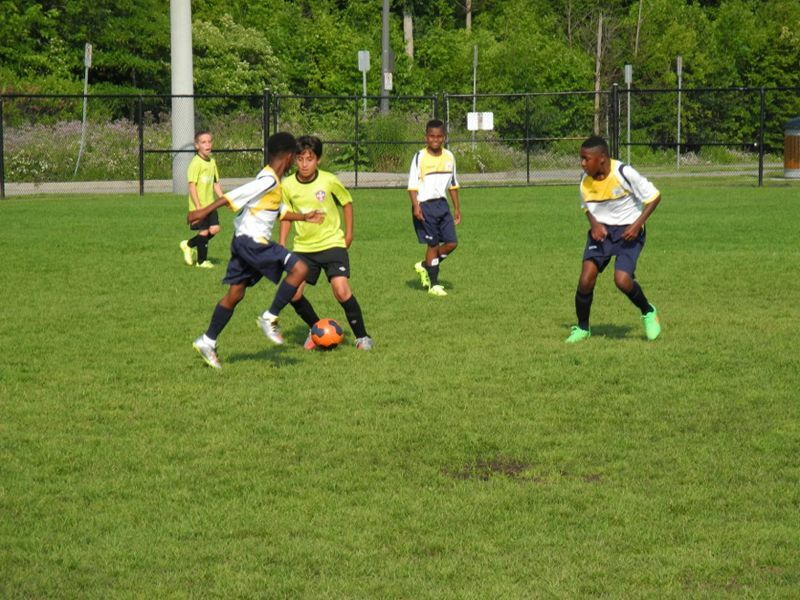 The Bermuda’s Brazilian Football School [BBFS] eighth annual Football Cultural Tour to Canada continued recently, with the group participating in both training and games before paying a visit to Niagara Falls. 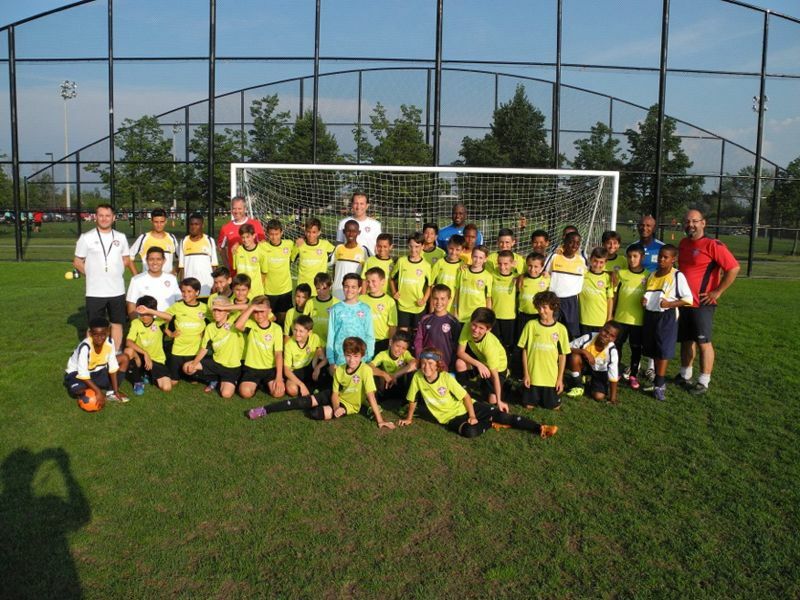 In games, all teams were hosted by the Oakville Soccer Club of Ontario, the largest Soccer Club in North America with 10,000 members. 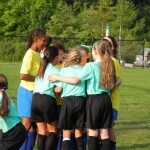 The U11 girls and and boys participated in another mini football festival playing three matches each. 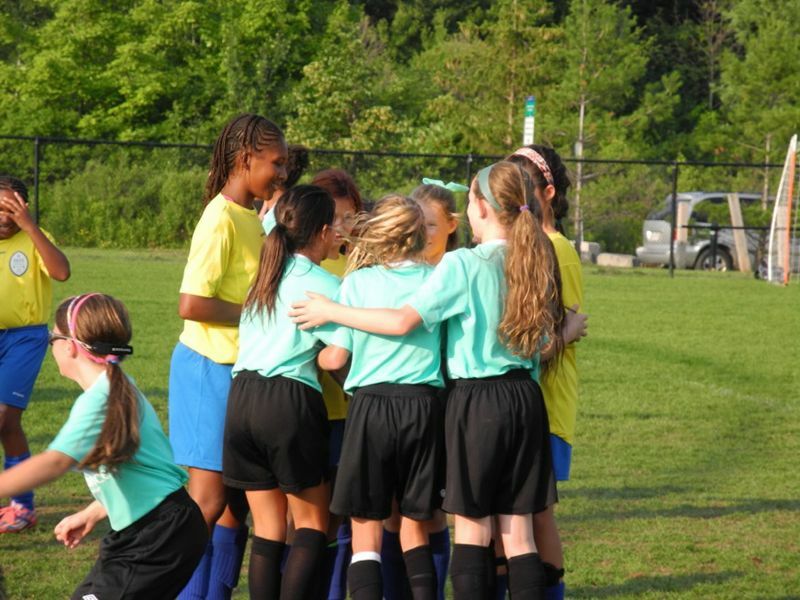 The U11 girls were placed in mixed teams with the Oakville girls and enjoyed making new friends. 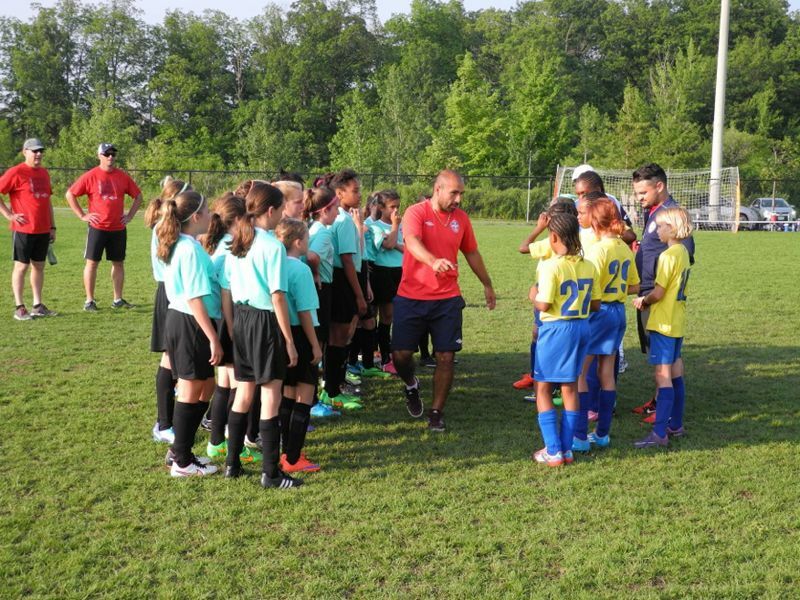 “The competitive level of play and technical warmup sessions, has been a great learning tool for this group thus far,” a spokesperson said. 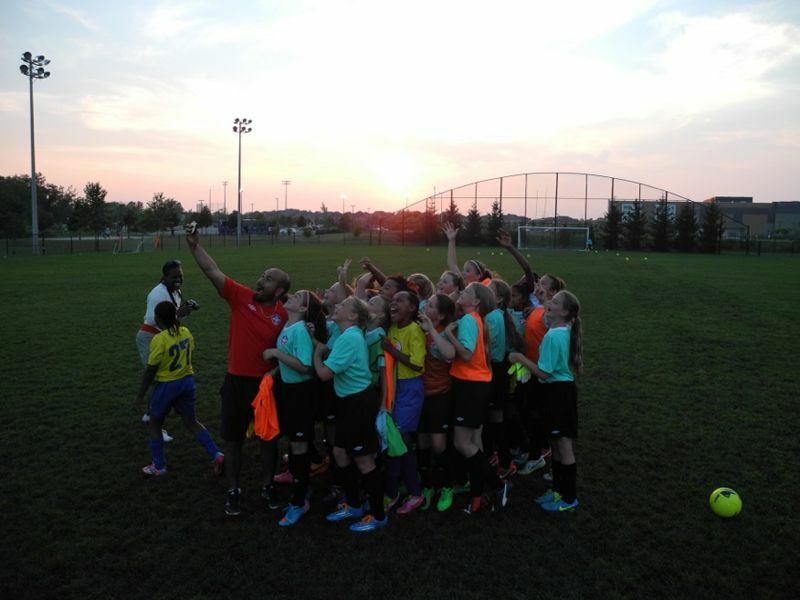 “‎The U12 boys played three matches vs various Oakville teams. 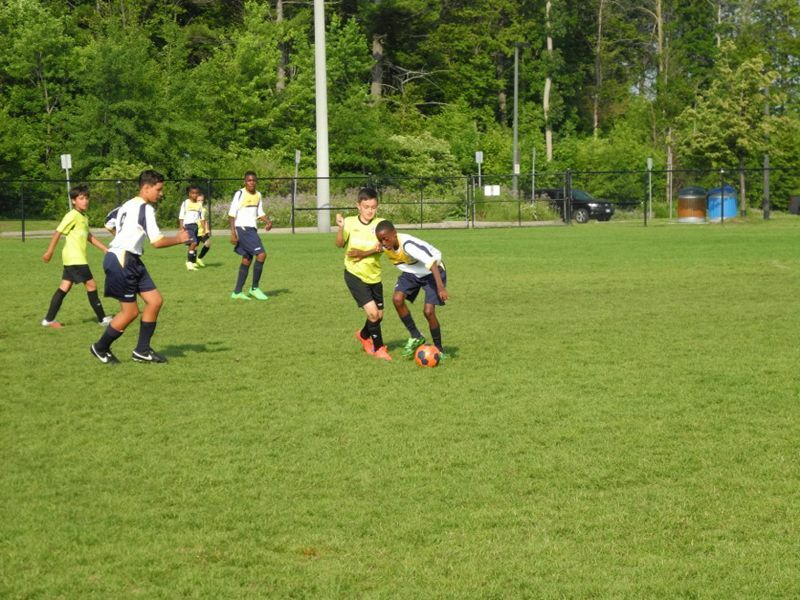 In the first match BBFS went down 4-1 as the boys were taught a lesson to not judge the opponent by the size of their players. 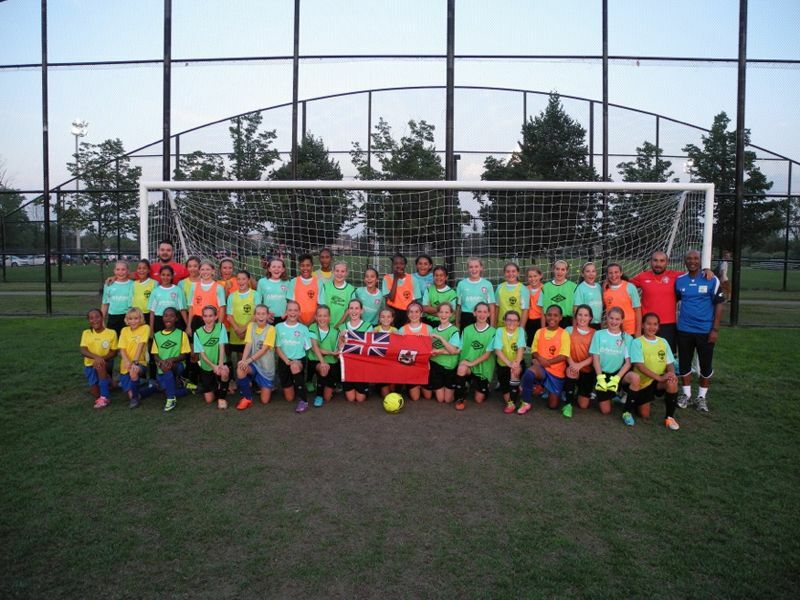 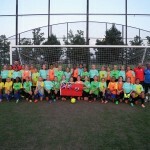 “The girls joined in with the Oakville U14′s and played vs Turks and Caicos. 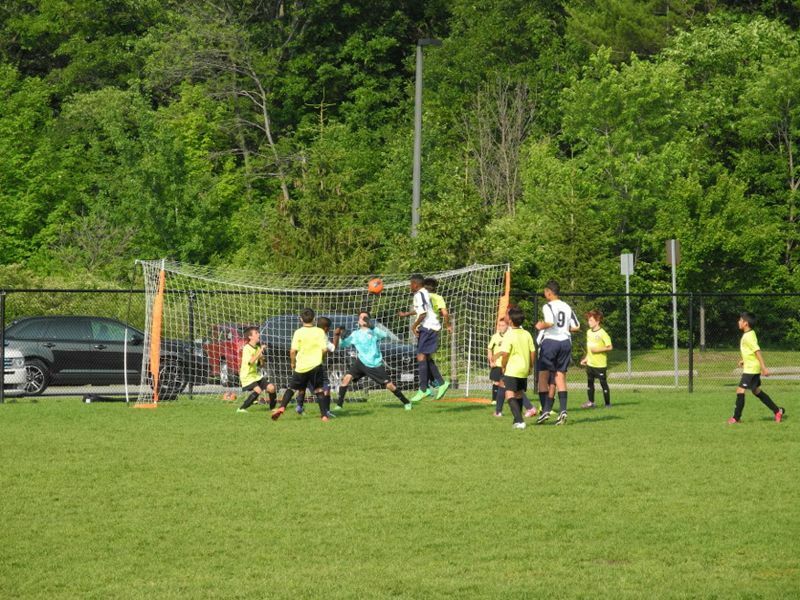 All three [Aaliyah, Cally and Talea] showed a vast improvement from game 1 with Aaliyah continuing to find the back of the net. 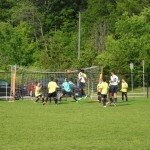 The final score was 9-0 to Oakville. 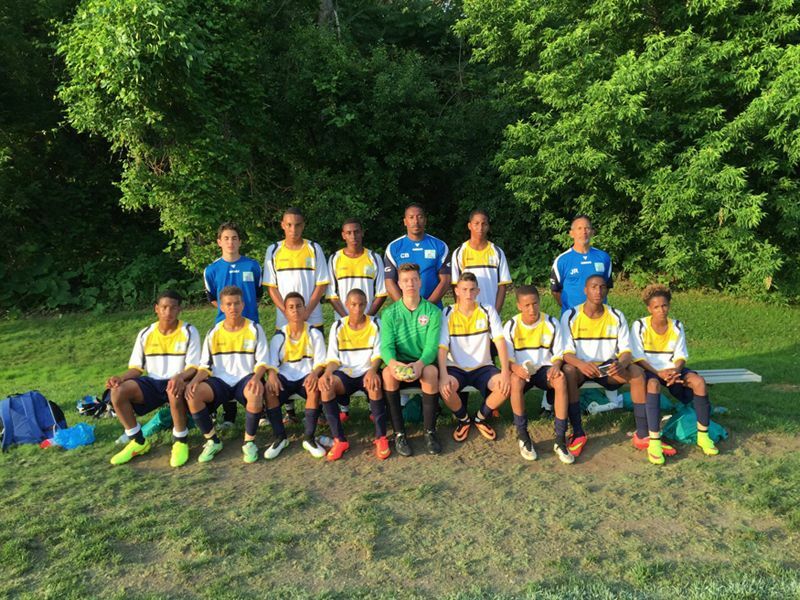 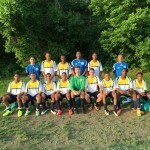 “The U14 boys went down 1-0 to a strong Oakville U14 Academy team. 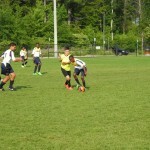 During the 80 minutes, the team was introduced to the intense physical demands of international football. 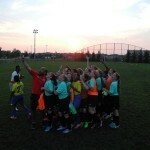 “BBFS battled back and created a final chance to score from a corner but the cross was headed just over the bar.